Maybe just explain. Because yes, Laurens Wisselink, of course, has a commercial interest. First of all, motorcyclists say nothing and then quickly offer training. That sounds like an easy sales pitch. A little too transparent. Still, we do it a lot. Because he is not just a trainer. He worked in education for years. Recently as a director of a primary school. He also gave part-time driving lessons. As a hobby. Wisselink has been giving driving lessons for fifteen years. From Amsterdam to Arnhem. On the road, watching, practicing, analyzing; he prefers nothing. Last year he decided to follow his heart. Yet away from education, start your own driving school. It’s called motorcycle professional. 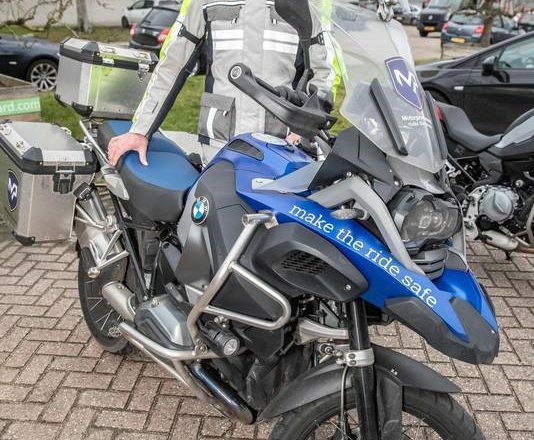 He also provides lectures and training for the Royal Dutch Motorcyclists Association (KNMV). Often to men around forty. This weekend, the first riders will hit the road again, is his prediction. That is why Wisselink already has three recommendations.